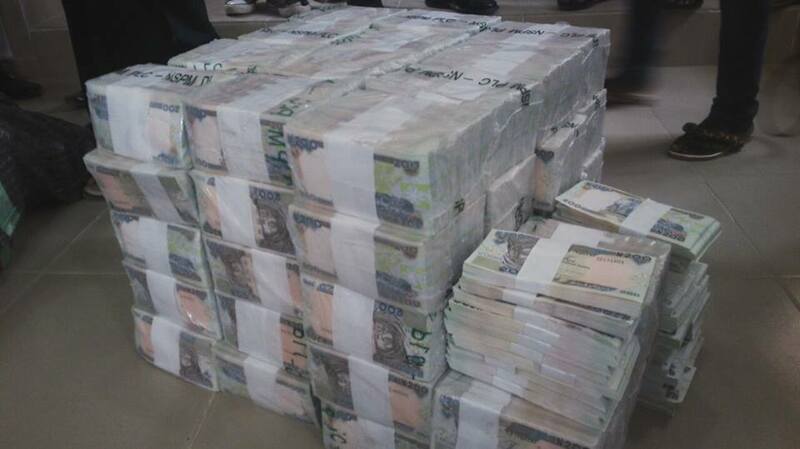 LAGOS — The Federal Government, yesterday, paid N421 million to the Ikoyi whistle blower, who provided information leading to the discovery of $43.5 million, £27,800 and N23.2 million at No. 16 Osborne Road, Ikoyi, Lagos. Vanguard exclusively gathered that the money was paid to the beneficiary by officials of the Ministry of Finance after which he left Nigeria for an undisclosed country. It was further learned that the eventual recipient of the reward money was the person who had earlier been taken to Yaba Psychiatric Hospital, Lagos, by the Economic and Financial Crimes Commission, EFCC, on the suspicion that he could be mad. However, what government paid in line with the Whistle-blower Policy which recommended 2-5 per cent of any amount recovered for a whistle blower, was not the total amount due the Ikoyi whistle-blower. When the next tranche would be paid could not be confirmed by Vanguard. The whistle-blower’s lawyer, Mr. Yakubu Galadima, had in November, dismissed reports that his client would receive N350 million reward, saying the actual figure was N850 million. Galadima, however, told Vanguard yesterday that payment of the reward to his client had confirmed his insistence that he was the true whistle-blower, adding that the development is expected to put an end to any doubt over who actually blew the whistle. His words: “My client has been paid. He was paid yesterday and has since left the country. As we are speaking, he is not in Nigeria. However, the money was paid directly to him. “The government said they were going to pay the money directly to him and that was what they did. Vanguard recalls that the issue had been enmeshed in controversy over the treatment meted out to the principal whistle-blower by the EFCC. The Whistle-blower was forced to cry out, following claims by the EFCC Chairman, Mr. Ibrahim Magu, at the 7th session of the Conference of State Parties to the United Nations Convention against Corruption that he had become a millionaire. On the heels of that were claims by two other men that they were instrumental to the discovery of the money. A legal firm which claimed to be representing the Whistle-blower, and two others, Abdulmumin Musa and Bala Usman, had petitioned Attorney-General of the Federation, AGF, Abubakar Malami, to pay the money to the three men. In the peak of the controversy, the whistle-blower, narrated exclusively to Vanguard how he made the discovery. While these lasted, the government insisted that it would only reward the person who provided information that led to the discovery of the fund at the end of last month. The government had in 2016, approved a policy on whistle-blowing that aimed at encouraging Nigerians to report financial crimes. Minister of Finance, Kemi Adeosun, who announced the policy, said anyone who provided information leading to the recovery of fund, would be entitled to not more than five per cent of the recovered sum.